The 167 Souls concert has raised more than £27,250 through ticket sales and donations on its JustGiving page. The event will be held at the Beach Ballroom in Aberdeen from 4pm today to 1am on Sunday. It will feature entertainment from Scottish music producer Keb Darge and a collection of Aberdeen’s finest soul DJs. Around 500 of the 700 available tickets have been sold, but organisers expect another rush today, taking the total attendance to around 600. All donations will go to the Pound for Piper Memorial Trust, which was set up in 2012 to help pay for the maintenance of the memorial gardens in Hazlehead Park. Graeme Webster, a rig electrician, now at North Sea Power Solutions, started organising the event 18 months ago. Mr Webster said he expected to reach, or come very close to, the £30,000 target over the weekend and thanked people for their generosity. 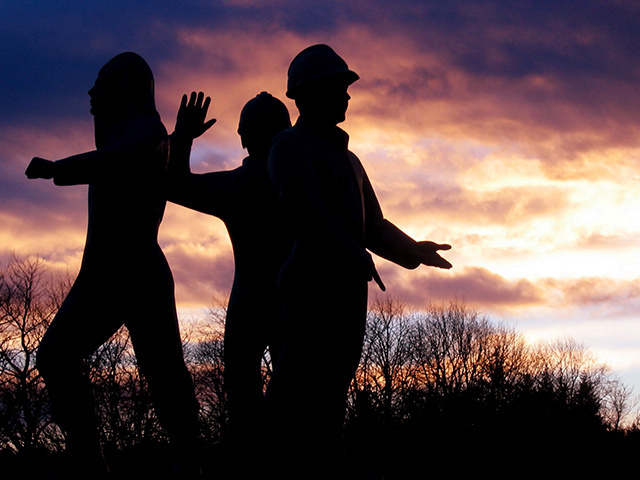 He joined Grampian Police just a few months before the Piper Alpha disaster struck on July 6, 1988, and said he was emotionally affected by the tragedy. He felt it was important to make sure the memorial gardens were kept in good condition and was glad that the event had raised the location’s profile. “Most of the donations have been small amounts and I take encouragement from that,” Mr Webster said. “It shows that our efforts to make more people aware of the memorial gardens in Hazlehead park have worked. Tickets cost £15 and can be purchased via the 167 Souls JustGiving page. Collection can be arranged by leaving a personal message on the page, or on the 167 Souls Facebook page.